Utsushi: The emulation of a master artist’s work as a way to understand his or her technique. Utsutsu: Things that actually exist in the world. Reality. Utsutsushi: A word created by Tabaimo. To make an utsushi. The state of having been utsushi’d. 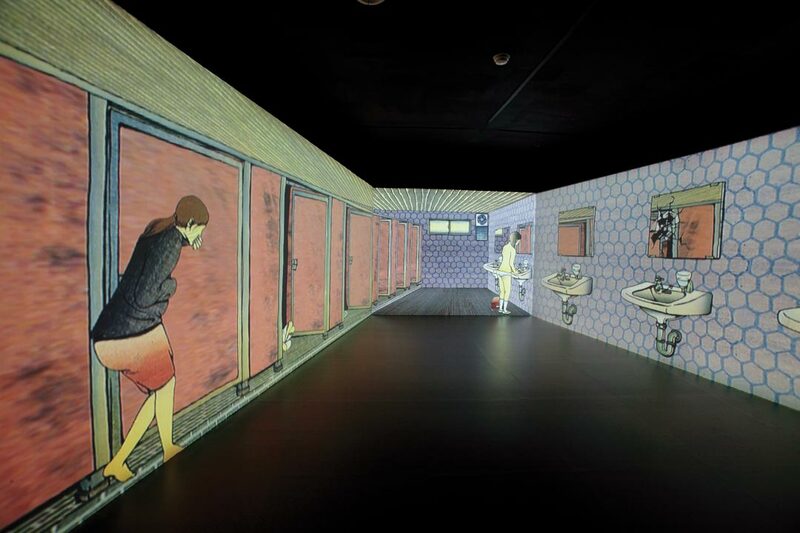 Tabaimo (born 1975) is a globally acclaimed Japanese artist known for her immersive and thought-provoking video installations. Combining hand-drawn images that evoke traditional Japanese woodblock prints (ukiyo-e) with digital manipulation, Tabaimo’s animated installations offer a critical and complex view of contemporary Japanese society. This is the first major exhibition curated by Tabaimo. Organized around the concept of utsushi, which refers to the emulation of a master artist’s work as a way to understand their technique, the exhibition presents Tabaimo’s existing and new works, as well as important historic works from SAM’s Asian art collection. Tabaimo selected these historic works for their close connections with her art. Whether it be something ingrained in her artistic DNA or a piece she has quoted in her work simply because it’s interesting or beautiful, visitors can expect to see intuitive juxtapositions between the contemporary and the collection. For instance, SAM’s much-beloved 17th-century Crows screens with Tabaimo’s new video work that also takes the crow as its subject. When I saw the pair of cabinets in Seattle Art Museum’s collection, they appeared like twins to me,” recounts Tabaimo. 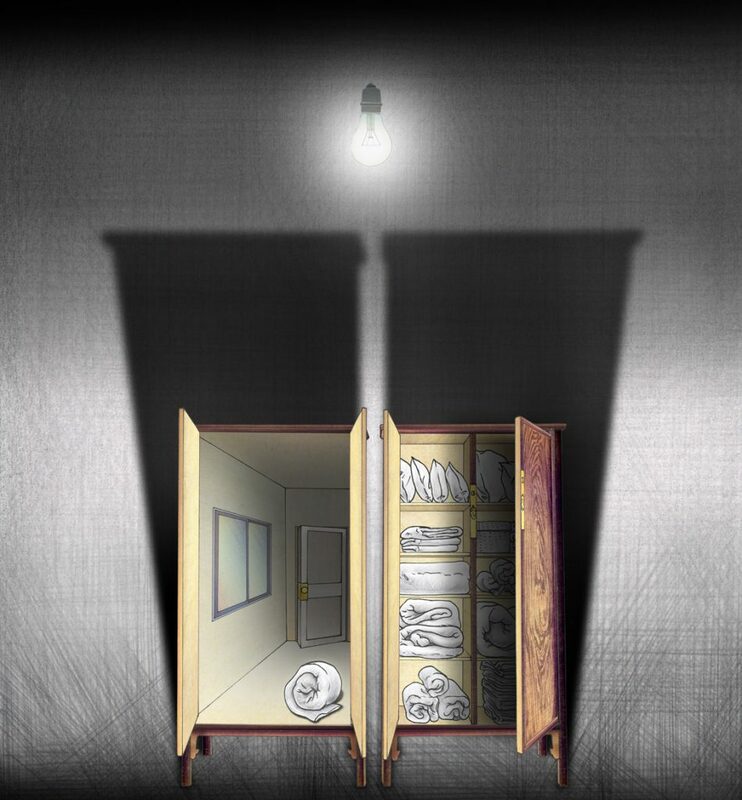 Projected on a translucent screen placed behind the cabinets, Tabaimo’s video work that features them can be said to be the twins of the “twin cabinets.” The video projection looks as if it is the silhouette of the cabinets, creating an image that is between the real and illusion. 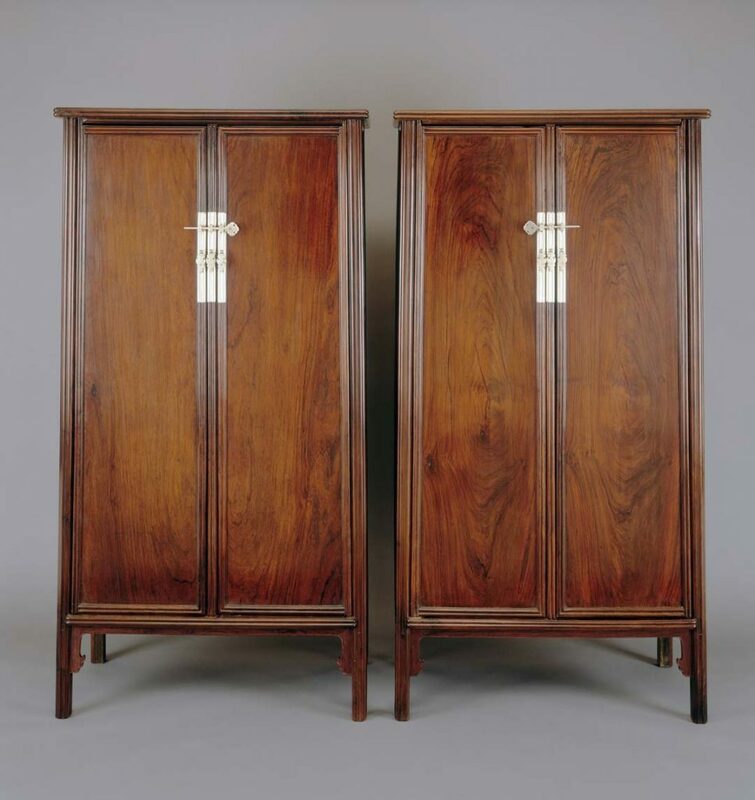 Featuring the beautiful grain of single-planked doors made of the famed huanghuali wood, the cabinet-makers devised an ingenious joinery system that connects various parts seamlessly without the use of nails. These cabinets would have served as storage, holding books, scrolls and other scholar’s accoutrements. Utsushi might conceivably be a spirit that tries to bind things together. The length of a given person’s life is circumscribed, as is what they are able to produce in their lifetime. When people are able to form connections across time and space, they are able to do things they couldn’t achieve on their own. I feel Kenzan’s presence in the shape of my mother’s works, and I feel Hokusai’s presence in the colors of my works. When pieces of art gain power through their connection to their predecessors, they begin to take on the possibility of connecting to a future unimaginable to their creator. Tabaimo (born 1975, Hyogo, Japan), represented Japan at the 54th International Art Exhibition, La Biennale di Venezia (2011) and has been the subject of solo exhibitions at the San Jose Museum of Art, San Jose, CA (2016); the Museum of Contemporary Art, Australia, Sydney (2014); Parasol unit foundation for contemporary art, London (2010); Yokahama Museum of Art, Tokyo (traveled to the National Museum of Art, Osaka) (2009-10); Moderna Museet, Stockholm (2009); Fondation Cartier pour l’art contemporain, Paris (2006); Hara Museum of Contemporary Art, Tokyo (2006). International group exhibitions include: the 52nd International Art Exhibition, La Biennale di Venezia (2007); the 15th Biennale of Sydney, Australia (2006); the Sao Paolo Biennale (2002); and the Yokohama Triennale (2001). Tabaimo has collaborated with Ohad Naharin’s Batsheva Dance Company, choreographer Maki Morishita, architect Yuko Nagayama, and photographer Hiroshi Sugimoto. Her work can be found in the collections of museums around the world. Tabaimo lives and works in Japan. The exhibition is organized by the Seattle Art Museum in collaboration with Tabaimo. In-kind support for projection equipment is provided by NEC Display Solutions of America, Inc. Images: hanabi-ra, 2003, Tabaimo, video installation, © Tabaimo / Courtesy of Gallery Koyanagi and James Cohan Gallery. Two, 2016, Tabaimo, video installation, © Tabaimo / Courtesy of Gallery Koyanagi and James Cohan Gallery. Round-corner wood-hinged cabinet (gui), 16th century, Chinese, Huanghuali wood, 72 x 37 x 20 in., Seattle Art Museum, Sarah Ferris Memorial Collection and an anonymous donor, 89.20.1. public conVENience, 2006, Tabaimo, video installation, © Tabaimo / Courtesy of Gallery Koyanagi, Photo: Takahiro Yonekura. Crow, 2016, Tabaimo, video installation, © Tabaimo / Courtesy of Gallery Koyanagi and James Cohan Gallery.